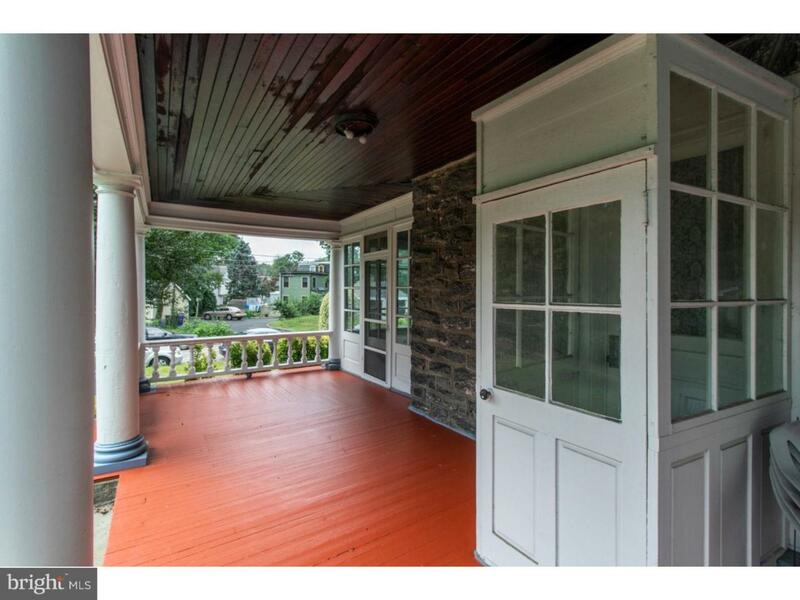 A classic, Elkins Park home on a quiet and minimally trafficked, one-way street! 343 Gerard Ave is a very functional, and efficient home for busy suburban living. 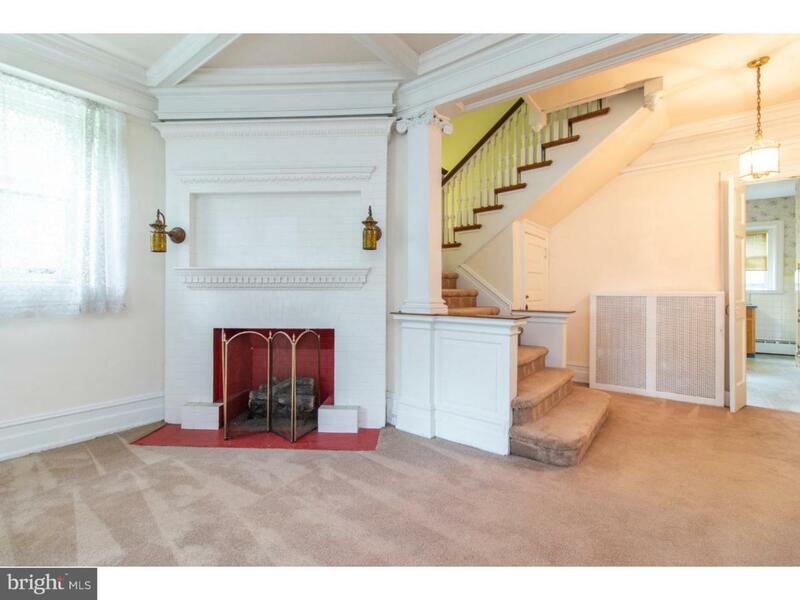 There is a spacious ground floor with porched entry, and a gracious floor plan that includes nine-foot ceilings, a working (and robust) gas fire place, a grand staircase, stained glass windows, a huge kitchen, and an enclosed rear porch/breakfast room that overlooks an expansive rear yard/garden. 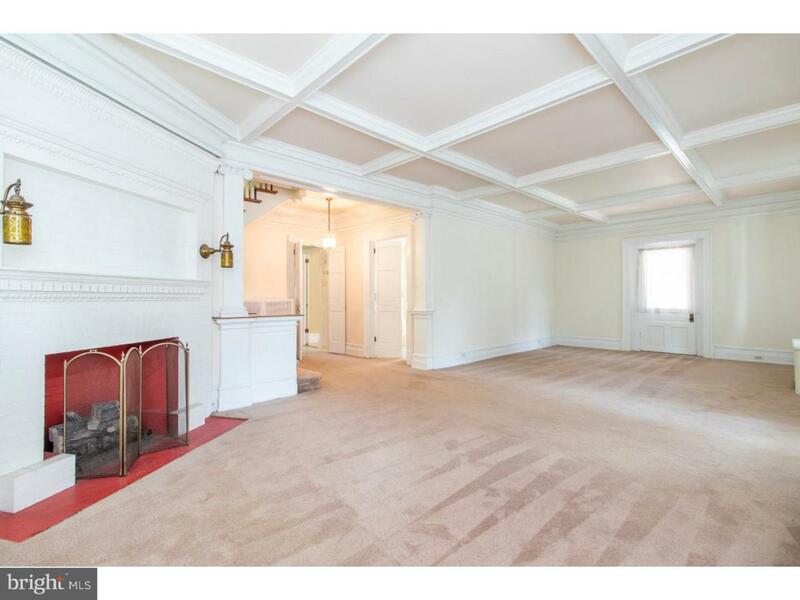 The second and third floors of this home have very large rooms that have most recently been used as bedrooms, but which might easily be adapted for alternative uses (creative office/technical space, exercise rooms, home office, etc.). The yard and outdoor spaces surrounding this property are fairly sheltered and welcome entertainment/outdoor activity, with wrap-around porches on front and side, an expansive rear yard with many perennial bulb beds and tree plantings, plus a dedicated driveway and free-standing garage for onsite parking (in addition to street parking). The location of this home cannot be beat! 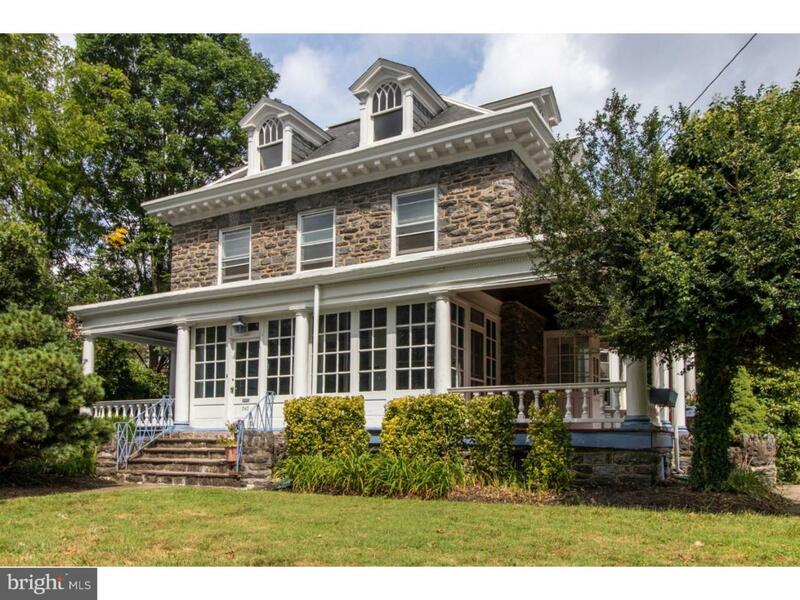 It is within walking distance of the elementary school, local religious communities and synagogues, the Elkins Park Train Station, the library, and the Elkins Park Business District (which includes the Creek Side Cooperative Food Market, bakery, coffee shop, yoga studios, gyms, restaurants?). Sports parks and exercise opportunities (three playing fields, walking trails/bike trails) are right outside your door, while major hospitals, universities, shopping malls and personal services of all sorts are within a few minutes of drive-time. Finally, there is excellent access to major highways (Rt 611, PA/NJ Turnpike, Rt 309, Rt 73) and all forms of transportation, which include trains, bus, and local (free)transport for those with special transportation needs. If your criteria for a new home includes excellent schools, easy access to Philadelphia/New York/New Jersey, great local culture/community/neighbors, high walkability and a welcoming/adaptive home space, please take the opportunity to see this home and to judge for yourself if this home might be the answer to your home search. Showings start on Thursday, 9/20/2018. Open House on Sunday,10/14/2018, 1-3.